The increased focus on usability, convenience and control along with a transition from paper to digital in healthcare demands efficient document management strategies. While paper based documents have been a part of business since time immemorial, the rapid shift of the industry towards digital documentation is creating space for more comprehensive and proactive management of information across entire business life cycle. The mobility and cloud has pushed document management to mobile, smart phones, and tablets with applications designed to incorporate documents into a more streamlined business workflow. The life cycle of a document now extends far beyond the confines of the office, to an extent that they can be circulated through third party service providers. Meanwhile, the sensitive information contained in medical documents heightens the need to manage and control documents in line with compliance, and regulations. In this scenario, Healthcare Tech Outlook has analyzed the strengths and capabilities of numerous document management solution providers and has chosen the Top 10 among them. The companies featured here showcase vast knowledge and in-depth expertise in delivering document management related solutions and services. The listing provides a look into how these solutions and services work in real time, so that you can gain a comprehensive understanding of what technologies are available, which are right for you, and how they shape up against the competition. 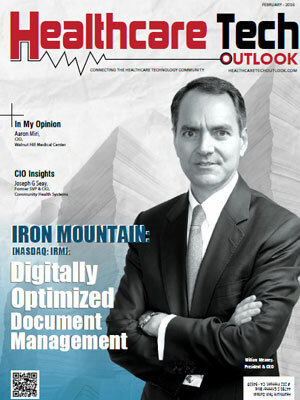 We present to you the Top 10 Document Management Solutions.